A man who was injured in an alleged armed robbery two months ago has not yet been informed whether the aggressor was identified, despite repeated visits to the Ħamrun police station. 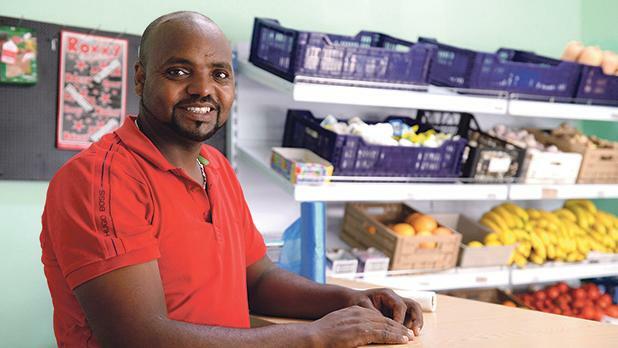 Tesfay Habtemariam – whose concern is shared by others within the Eritrean community – was attacked in his own grocery store in the early hours on July 11. The 37-year-old suffered injuries to his shoulder and the burglar fled the scene with €300 and Mr Habtemariam’s passport, he told Times of Malta. The Eritrean man, known as ‘Jambo’, had just returned to the store from a friend’s house. Considering that he had only a few hours left to open the shop, he decided to shower and rest in sleeping quarters adjacent to the shop, instead of heading back home. Little did he know that he was not alone. When he felt that something was not right, he peered through the door linking the sleeping quarters with the shop and received a blow to the face. The intruder had thrown a bottle that he had grabbed off a shelf, Mr Habtemariam explained. In the ensuing scuffle, which saw the two chasing each other around the shop, the intruder slashed Mr Habtemariam’s shoulder with a knife. The Eritrean tried to lock the intruder inside the shop but he slipped on some food items that had fallen off the shelves. 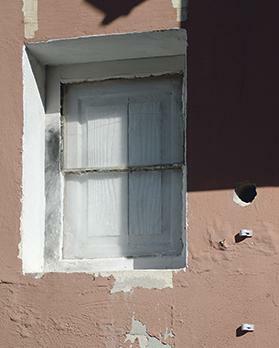 The alleged thief managed to climb through the door leading to the sleeping quarters, and escape through a bathroom window, breaking the sink on his way out. Mr Habtemariam believes the intruder broke into his store in the same manner. He immediately filed a police report, and was later shown photos of suspects. However, he could not identify the alleged intruder who was wearing a mask and was covered in tattoos. He told the Times of Malta that on the three occasions that he visited the locality’s police station, he was not provided with information on a follow-up by the officer entrusted with the case. To date, he has not been informed whether the alleged intruder has been identified, or if the police are even able to identify him. Asked for an update about the investigation into this case and whether the police had acquired any CCTV footage, including from the system attached to third party property opposite the store, a spokesperson said a magisterial inquiry was under way. “Police investigations are ongoing, thus it would not be prudent to comment further,” they said. Mr Habtemariam’s concern about lack of follow-ups by the authorities – including traffic incidents – has been reiterated by others within the Eritrean community, his friend Major Sium told this newspaper. Mr Habtemariam and Mr Sium arrived in Malta more than five years ago, and they count their stay here by the minute. It was a special and unforgettable day for Mr Sium, who was “saved from oblivion by the Armed Forces of Malta”. Both holding subsidiary protection status, the two men have settled down, and Mr Habtemariam successfully opened his own shop six months ago. “I was really scared that I would one day be robbed at the shop, and my nightmare became a reality. I now feel helpless as I haven’t heard back from the police investigators,” he said.